The annual Green Feast at San Juan Capistrano’s Ecology Center is a pretty big deal, but this year’s—happening tomorrow at 6 p.m.—must approach some kind of pinnacle. Alice Waters, who pioneered the the local-sustainable-organic model that the center is based upon, is making what seems to be her first-ever visit to Orange County to host the event. Ticket proceeds will benefit Waters’ Edible Schoolyard project, as well as the Ecology Center’s Grow Your Own!, which aims to put organic gardens on the grounds of every school in Orange County. The event has a personal aspect for Ecology Center chef-in-residence Kerri Cacciata, whose career in food is shaped by Waters’ work. “I grew up in the food industry, with both my parents running restaurants. I wanted to get away from it, so I went to school to study community organizing. I read about Alice, and the work she was doing with food, using it as a tool to create community. It dawned on me that food was my community—I didn’t need to get so far away from what I knew. And so I started cooking.” I love the idea of Cacciata cooking for the person who inspired her most, right in her own kitchen at the Ecology Center. As of this writing, Green Feast tickets remain—click here for details. 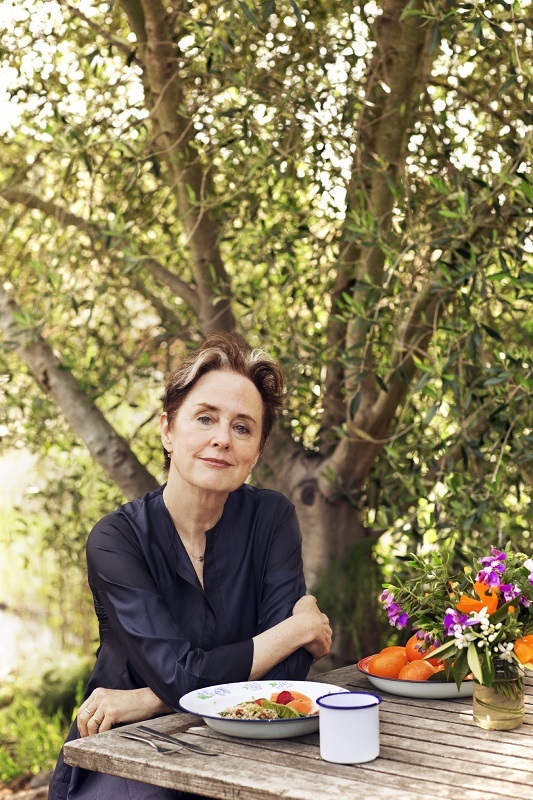 Photo of Alice Waters by Amanda Marsalis.